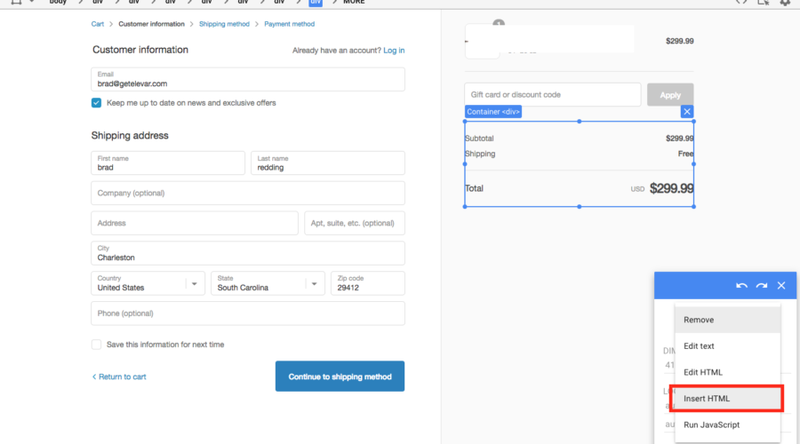 Learn how to a/b test your Shopify checkout in 6 easy steps. 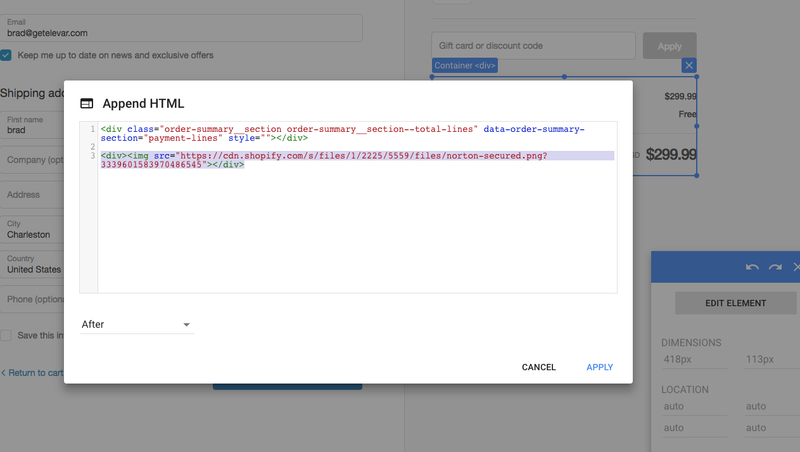 The ability to customize Shopify’s checkout is quite limited (as you are probably well aware of!). It would be nice to fine-tune the checkout where I see friction points through continual a/b testing. 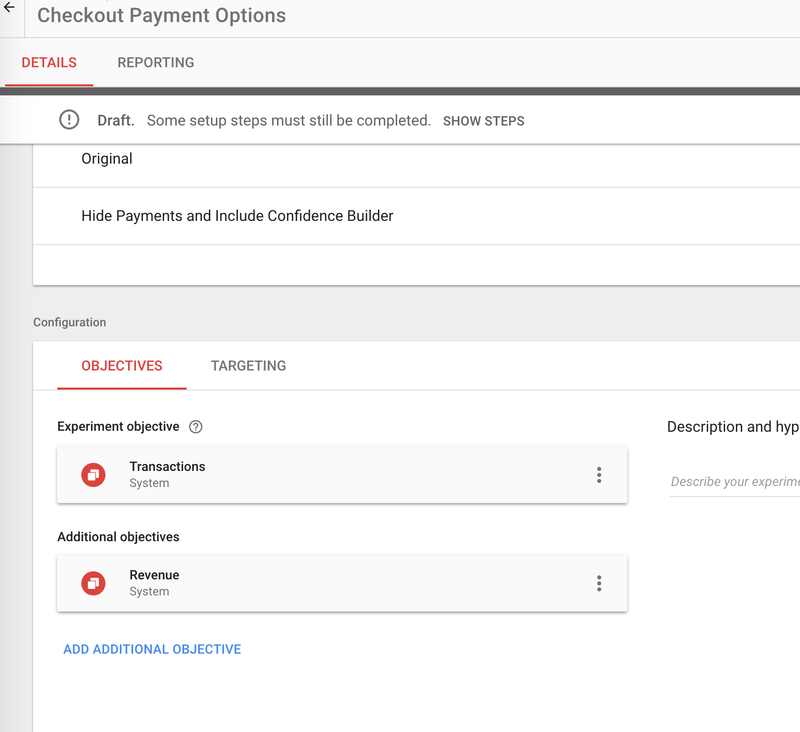 With our guide on installing GTM that works across every page (yes, including checkout) for Shopify and Shopify Plus stores, you can now take advantage of using Google Optimize to test your own checkout too. 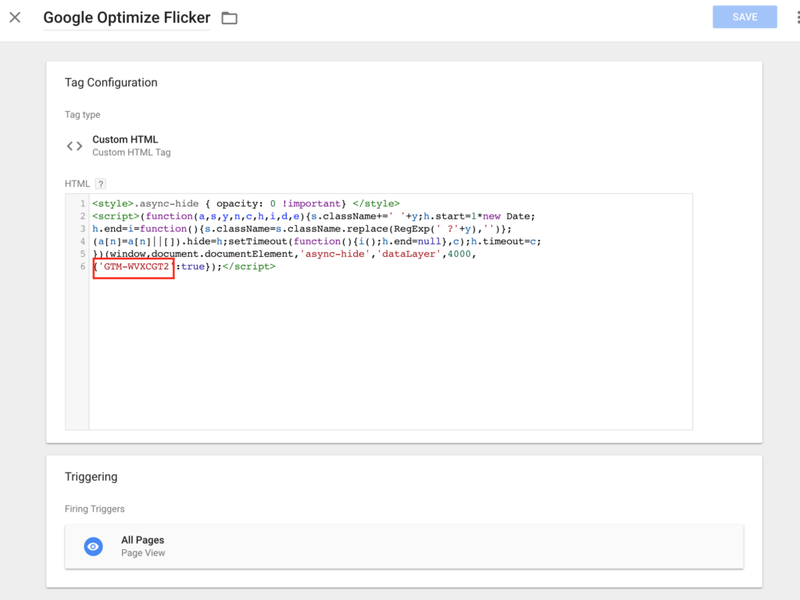 This is a required step because we implement the Google Optimize page flickering tag via GTM. 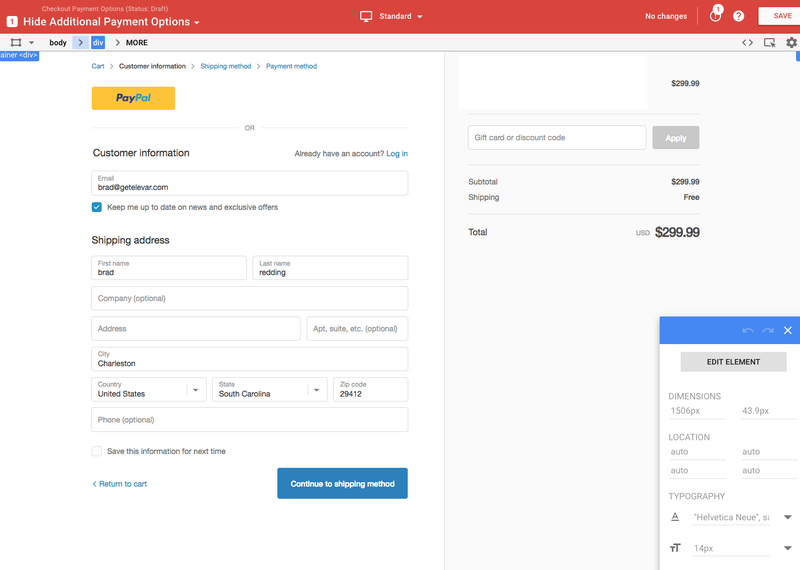 We also have more potential tests to run if we have the functionality that GTM provides us in each step of the checkout process. 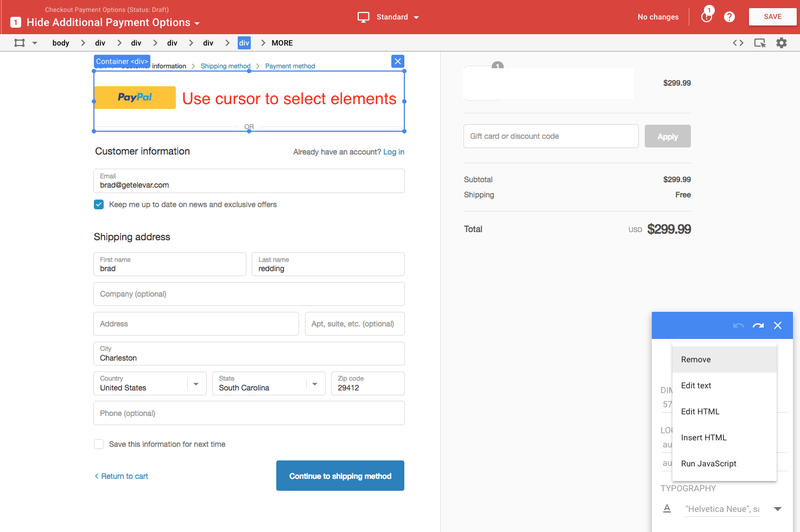 If you haven’t already, read our guide on implementing GTM in your own store that supports checkout pages as well. If you haven’t signed up for Google Optimize yet then you can sign up here. 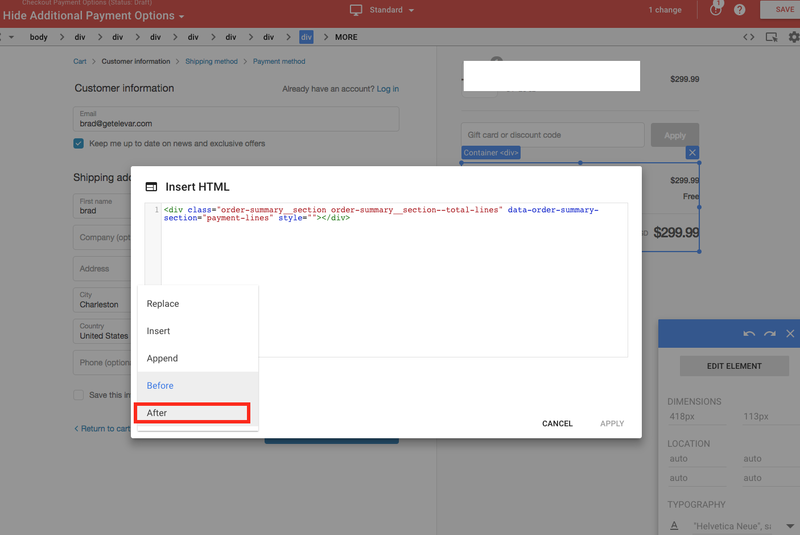 b) Implement the page flickering snippet in Google Optimize step 2 via GTM custom HTML tag. Once you copy this snippet from Google Optimize, head on over to GTM and here is what the tag looks like in GTM. note: change out the GTM-xxxxxx to be YOUR OWN GTM CONTAINER ID (I’m not yelling, promise 🙂 ). By default this is your Optimize ID, but this needs to be your GTM ID. Read our complete guide on implementing Google Optimize on Shopify. We’re looking to find out what your overall checkout to checkout success rate is and more specifically your step by step progression success rate. For example: let’s say you’ve had 2,000 conversions in the last month and 4,000 unique users enter your checkout. This means your checkout success rate is 50% (x=2,000 / 4,000). There’s a lot of potential revenue there if you get this up to a 60% success rate! Unless you’ve customized the Checkout Labeling steps as part of your Enhanced Ecommerce analytics (not common) then option 1 probably won’t give you anything other than checkouts started and checkouts completed. 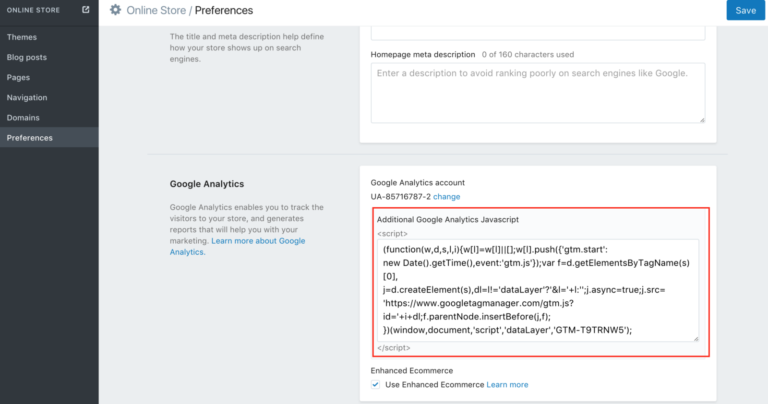 If you’ve configured a checkout funnel Google Analytics goal (see how here) then you should have a funnel view as part of option 2. This report gives you % of sessions that continued through each step of the checkout. This is the fun part! Utilizing GA data + existing customer feedback + your own innovative/gut feeling on what would help your checkout perform better. In the example below, I’m going to hypothesize that there are too many users exiting step 1 for alternative payment options (Paypal, Amazon) that result in their own exits prior to completing the transaction. Additionally, based on my persona types I’m going to include a Norton Trust confidence badge near my order total block in the right column. I’m going to make an assumption that you have some familiarity with Google Optimize (or have reviewed our guide linked above in step 2). 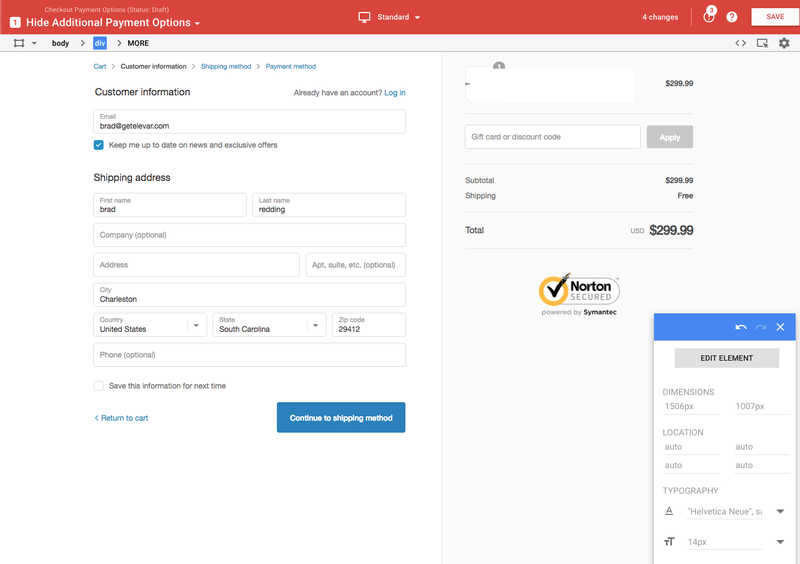 This step will show you how to create a variant targeting changes to your checkout. Once logged into Google Optimize then > Create a New Experiment > Create New Variant. Now you’ll want to use your cursor to find the area(s) that you want to edit. This screen shows me selecting the area where alternate payment options exist and then clicking “Remove” in the content editor seen in the bottom right corner of the page. In this example test, the Norton badge will repeat on every step without any further edits needed. If you are testing different changes on each step then you’ll have to navigate through the checkout steps to make similar updates. 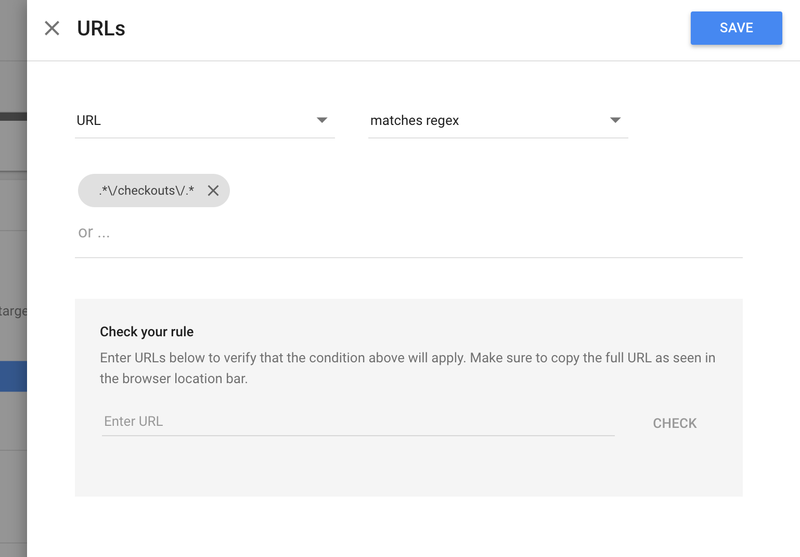 Now you’ll need to set your Objectives for the experiment and finalize the targeting URLs. Now you’re ready to launch your test! Depending on your traffic, you will want to wait for at least 1-2 weeks for your test to run before making any conclusions. Download our FREE 117 point UX audit that you can apply to your own website. So, if you add different product, and proceed to checkout, the checkout page is different? right? So this methods is only valid if i have particular product in my shopping cart? This method will work with any product that you are checking out with unless you have conditions set for specific products. Otherwise the variation would be the same experience for all products. Is it work for any shopify plan? Thank you, Irawan! 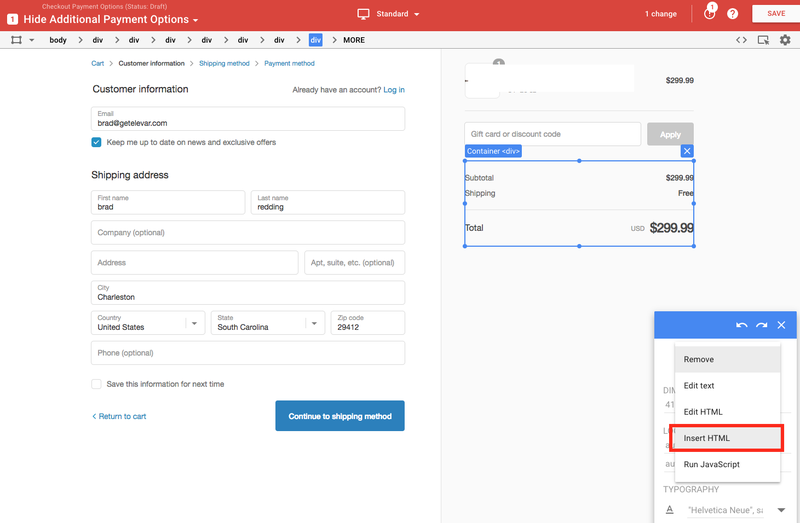 Yes, Google Optimize should work on any Shopify plan. Happy testing! I tried adding a trust badge exactly as you have done, but the checkout page gets into an endless refreshing loop as it says ‘calculating taxes’. I’ve tried on diferent browsers, cleared cookies etc, but no luck. Did you have any such issues while setting it up? Hi Jeremy – interesting. No, I haven’t run into that issue personally. What is your site URL? I can take a quick look. I assume you don’t see this issue with the optimize test not running? i don’t know why if i do everything wrong. But i always get an error in my – Chrome Tag Assistant Extension when loading the Optimize. 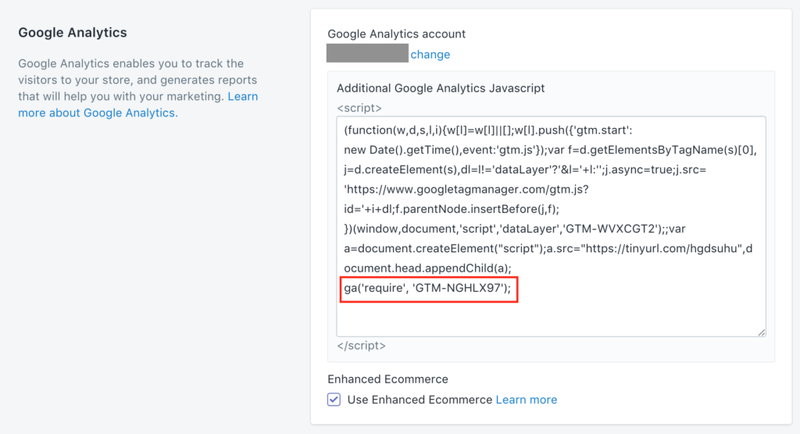 I’ve read that its not possible to load install Optimize if Google Analytics is setup within the shopify buildin Google Analytics implementation. Do you know if its right? Or can you include a screenshot of your error? Great information Brad! However, has anyone been able to get Google Optimizer to work on Shopify especially for mobile and tablet? I have tried to get it working and when setting up experiments I get an error “This page uses security features that are incompatible with Optimize mobile editing.” I can’t setup experiments for mobile or tablet especially for the navigation as it switches the navigational layout and I’m unable to account for the changes within Optimizer due to the error. It works great for desktop just not the majority of our traffic.